If you're ready for a total body burn with tons of upper body & core strengthening and NO equipment required, this workout is for you. We're going way beyond squats & pushups with this one. Grab a towel. You're going to sweat, mama! Everyone knows how to work the legs without equipment... Squats! Lunges! Calf raises! After all, all that weight on your torso adds resistance to leg exercises naturally. But how do you get a total body workout when you have no equipment? Skip the gym. All you need is a little creativity. Each one of these exercises actually works the entire body, from head to toe. You'll definitely get a heart-pounding cardio workout and really feel the burn in some of those muscles you might not normally feel during your typical squats & pushups home workout. You'll work your back, shoulders, triceps, core and glutes -- all muscle groups that are super important for a mama's alignment and health. 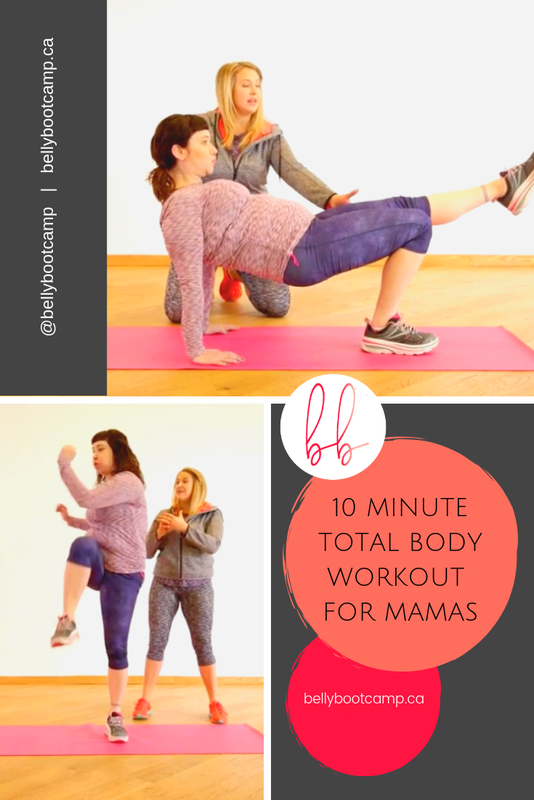 *Because of the positions used in some of these exercises, this workout is recommended for mamas who have recovered fully in postpartum & are free of abdominal separation and pelvic floor dysfunction. Take your home workouts beyond squats. Try each of these moves for 1 minute, with 30 seconds rest between. Repeat for a total of 2-3 rounds for a great total body burn. To get a cardio challenge, move straight from one move to the next without resting between. For a serious high-intensity cardio challenge, insert 30 seconds of jumping jacks, stairs, jogging on the spot, or your favourite bodyweight-only cardio between exercises with as little rest as possible.